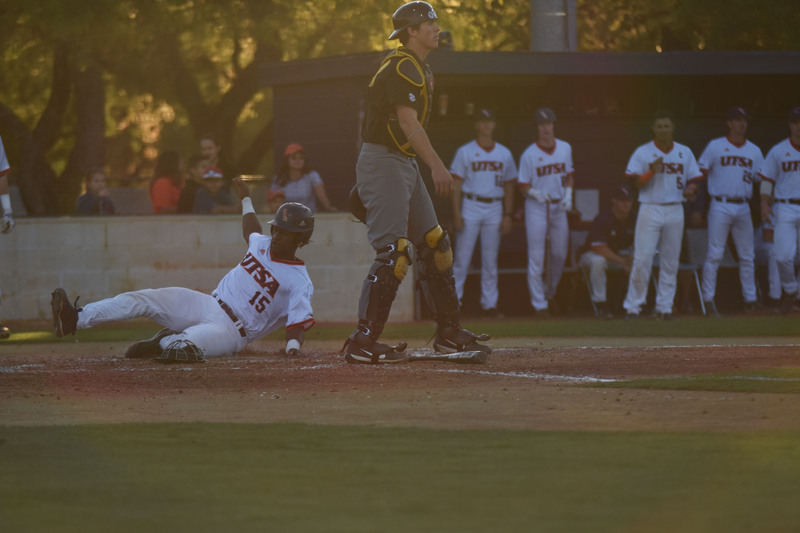 UTSA baseball (13-15, 5-4 Conference USA) hosted the Southern Mississippi Golden Eagles in a three-game series from March 29 to 31. 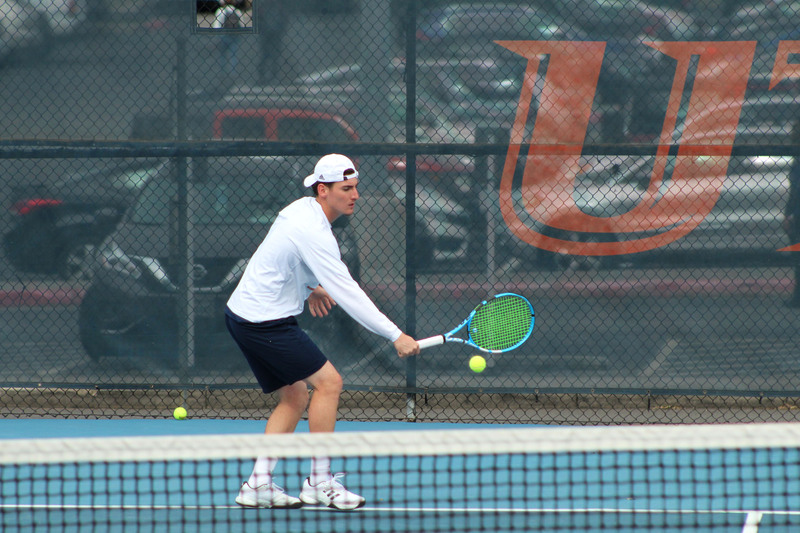 This series elevated the Roadrunners to fifth place in C-USA as they fell short of a sweep for the series. 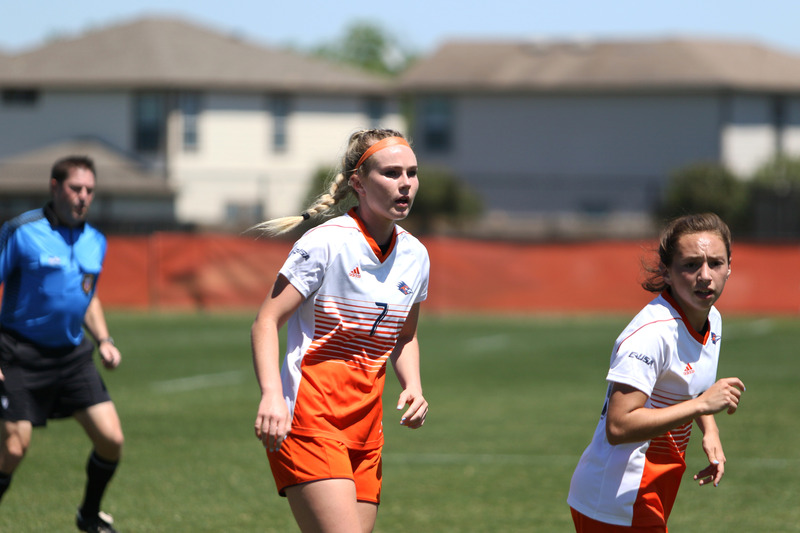 The ‘Runners blew out the Golden Eagles in the first game of the series. Coming out of the bullpen, Karan Patel began the game with a 1-2-3 inning as Ryan Stacey, Hunter Grimes and Chase Keng gave the Golden Eagle defense an easy start with three out of the park home runs. The Golden Eagles scored at the opening of the third inning as Storme Cooper answered the ‘Runners with a home run. The ‘Runners closed the game with a two-out infield single by Grimes. Stacey doubled in the next at-bat, sending Grimes over home plate and pushed the score to 12-1. The Golden Eagles attempted a comeback but fell colossally short, ending the game down by 10 runs, 12-2. The Golden Eagles came out with a stronger game on March 30, as the ‘Runners finished the game with a one-run advantage. Dylan Rock loaded the bases for the ‘Runners at the opening of the game, and with a single over the glove from Bryan Sturges, Leyton Barry and Bryan Arias crossed the plate. Feeding off of the energy from the win the night before, the ‘Runners quickly jumped out to a 2-0 lead. Stacey launched a triple off the right wall and scored on a sacrifice fly by Rock. Stacey and infielder Griffin Paxton added two more runs on the board for the ‘Runners, and Sturges accounted for three of the five team RBIs. The ‘Runners closed the game 6-5, looking for a sweep in the third game. The Golden Eagles answered the ‘Runners with a 14-6 win in the last game of the series. The ‘Runners took the lead at the bottom of the second inning as Paxton scored off a single and a fielding error. The Golden Eagles regained the lead in the fourth inning, holding on until the end. The ‘Runners scored late in the sixth inning with a bases loaded walk by Arias. The Golden Eagles held the lead and the ‘Runners ended the series with a 2-1 record. UTSA baseball will be back in action, facing rival team, the Texas State Bobcats in San Marcos on Tuesday, April 2.